January’s cold weather and long nights can bring a holiday hangover that leaves many people feeling down, and possibly spur full-on depression. Missing loved ones or dealing with the financial stress of the holidays can be difficult to deal with. Remember, you are not alone. Help is just a phone call away with the IAM EAP Helpline. You or a family member can receive CONFIDENTIAL help by calling 301-335-0735 or emailing iameap@iamaw.org. Certified trained representatives will assist members and their families in finding help during their most difficult times. 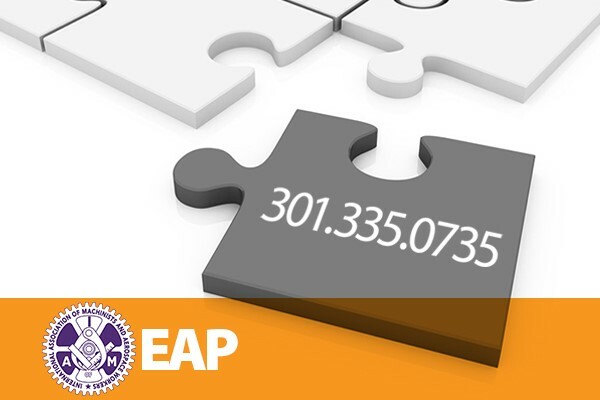 MAP/EAP is a free and confidential service for our members and their families.